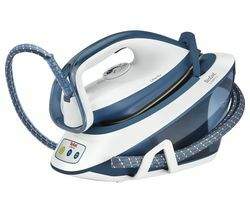 Equipped with all of the components needed to glide over a wide range of fabrics with ease, all Tefal irons have been expertly developed to deliver even heat and steam distribution, allowing you to tackle your ironing pile quickly and easily – great news if ironing is not your favourite household task! 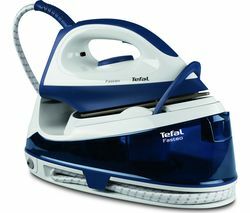 Ideal for tackling stubborn stains and creases, the majority of Tefal irons in this range embrace the latest ceramic soleplate technology in order to make light work of your ironing pile. Offering reliable and efficient performance, our high quality range of Tefal irons also boast a whole host of other handy features, such as exceptional reservoir capacity, temperature control and steam output! This means you won’t have to worry when your ironing is disrupted, your Tefal iron will stay hot and ready to pick up where you left off. Developed to optimise convenience, speed and precision, these irons also come complete with other features such as automatic shut off and ultra glide capability. One of the Tefal iron’s most popular features is its auto cleaning soleplate, which helps to minimise the transition of marks and stains on your clothing when ironing. If you want to look around, also check out our range of Philips irons. If you want to make ironing as easy and speedy as possible, take a look at our vast range of clothes steamers.